Tag Archives for " Fun with RSS "
It’s been far too long since I’ve allowed my geeky passion for RSS to spill forth. As a reminder, let me say again – anything that throws off an RSS feed (oh, and that’s just about any online tool) presents some interesting republishing opportunities. The republishing of RSS feeds for you own content creation purposes involves two steps 1) locate or generate the RSS feed, 2) produce the code to publish the feed as HTML somewhere. Some example of RSS producers – blogs, online calenders, blog categories, and custom searches for starters. So, let’s say you are way keen on all things to do with, I don’t know, referral marketing. You simply go to Google News and create a search for “referral marketing” (use the quotes) and copy the RSS feed URL. You can do the very same at search.twitter.com and capture the RSS feed for all tweets that contain that search term. Or, let’s say you created a twitter #hashtag for an event, that’s right, a search for said hashtag produces an RSS feed and can be published as streaming content anywhere you can paste the code. Producing the RSS feeds of course is only half of the equation in the republishing scheme. 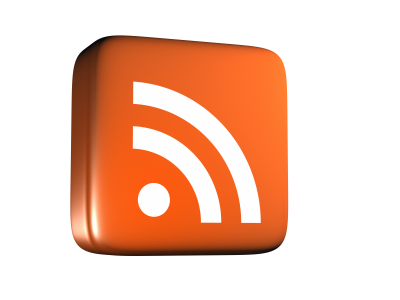 There are many ways to publish the RSS feeds, but here are two free and simple ways. 2) Feedburner – take your RSS URL to Feedburner and use a feature called BuzzBoost to produce the HTML for you – this service gives you full CSS styling capabilities if you care to create your own style. Here’s an example of a widgetbox widget for the search referral marketing on twitter. Get the referral marketing – Twitter SearchWidgetbox! Let your imagination run wild with this one! I am a bit of a nerd when it comes to RSS technology. I just get really excited about all the things you can do to automate your learning and marketing and gain access to filtered content any place you want it. I don’t think small business folks can here this enough – don’t get too concerned about what it is or how it works – it’s just plumbing – get excited about what you can do with it. Even if you have no clue what RSS is, there’s a good chance you’ve consumed an RSS feed one way or another by way of blog content. Every blog comes equipped with the programming to write to RSS feeds. This can be in the form of a main blog feed, category specific feed or even a comment feed. But RSS technology is everywhere now and is the secret to allowing your to filter through the flood of information you need to be tracking just to stay competitive. And, there’s more. In the course of a day I use RSS to check out what’s being said about Duct Tape Marketing, post content that I bookmark to web pages, update event calendars, publish blog snippets to three other web sites, monitor several industries, keep tabs on projects, send personalized data to customers, update product pages, track the weather where my kids live, discover new music, update my extended family on happenings and photos, find vegetarian recipes, and keep track of the MLB. That’s just on slow days. Once the routines are put in place much of the blur of info processing and publishing is done automatically. In this final installment of the 3-part “Fun with RSS” I want to show you how to take multiple RSS feeds, mash them together, and create one single feed to filter or display. 2) Creating custom or iRSS feeds (individual) – let’s say you have several really hot prospects and you want to create a news feed just for them as a value added service – and to show your mad customer service skills. 3) Creating custom content – maybe you would like to create dynamic news pages related a topic or community (great local search play), or maybe you wanted a way to take the feeds from your top 5 strategic partners and have them run down the sidebar of your blog page. I would love to hear any ways that you have fun with RSS! In another installment of what I might call “Fun with RSS,” I’ve created a video that will show you how to automatically post any content you want to your web site or blog using bookmarking. This is a great little trick for creating “In the News” pages or for scraping company or industry mentions to re-purpose to a web site. I use it to post news mentions I get and mentions of my book from around the Internet, but you could easily use this technique to create custom content pages for search purposes or even create highly personalized newspapers for customers and prospects. Once you get this set up anyone surfing the web for you can build these highly personalized pages. The video shows you ways to find the content you are looking for and then use a bookmarking service called delicious to tag the content and create an RSS feed that you then take to a service called Feedburner to create the code to easily publish the content to your site. Once you do this you can add content by simply bookmarking it on delicious using the tag that corresponds to the content and it will get posted automatically to your site. I get requests for this little how to frequently so I thought I would create a quick 3 step screencast that shows you how to publish a list of events on your web page or blog using RSS and Google Calendar. In this video I used Google Calendar and Feedburner to publish a calendar of events in a list form. The advantage of this is that anyone you give access to your calendar can update your web page (great for groups) and once an event occurs it drops off the page automatically. The results for this lesson can be found on my workshop page.